How the agent understand the human after having filtered by perception, after applying filters? Refererring expressions are an example: this car or that car? Espcially in virtual worlds where the agent or the human can point at objects. How to increase the attention span in human-machine conversations? Earlier this year Gartner predicted that by 2015 “50 percent of online customer self-service search activities will be via a virtual assistant for at least 1,500 large enterprises”. 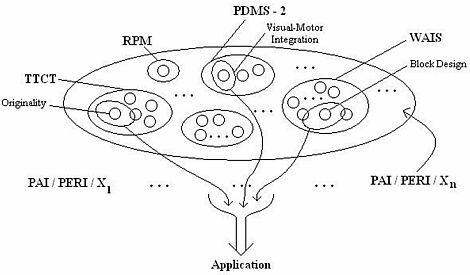 Interestingly, one of the main challenges the release cited was not a customer’s willingness to interact with an automated mechanism, but the ability for it to maintain an interesting dialogue. Read more about: How to increase the attention span in human-machine conversations? 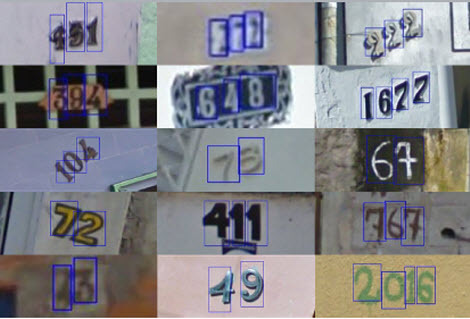 with Unsupervised Feature Learning researchers from Google and Stanford University reveal a new method of identifying house numbers in Google Street View. It’s just another attempt to add a bit of AI to Googles ability to understand the world. As a result however, this algorithm is obviously very useful for Captcha hackers as well, as I’ve announced many times before. Captchas are those annoying characters you have to re-type when you leave a comment on a forum, to get access to certain information or when you register for a website, The purpose of Captchas are to separate computers from real human beings, assuming that humans are better in complex character recogntion than computers. This will soon be something of the past. The result: computers will be able to create new accounts, register everywhere, spam everywhere. It will also retrieve password, access email boxes and send emails on behalf of real humans. It’s an unstoppable development. The only way to stop this: collaborate worldwide and define a new internet which is suitable for consumer usage. Also, we should get rid of the idea that we should protect privacy on the internet allowing people to stuff around anonymously without the chance of getting caught, and that everything should be available for free. Nothing is for free. Robots may see, speak and feel. Now it’s time to play robotic football! Having acquired skills of falling in synthetic love, making long-term cyber relationships, and playing pool with two hands, it’s time to take care of the artificial stamina! Recently, robots became active supporters of football and they began to play this most famous game in the world. Read more about: Robots may see, speak and feel. Now it’s time to play robotic football!